Make it easy for people to find your business with Google listing. 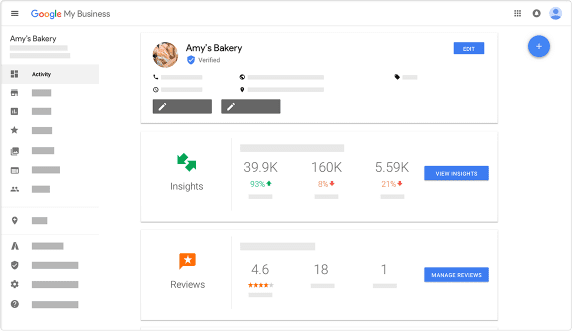 We will create your Google My Business listing—so you can be found, and bring customers in. If there is listing, but you do not own it – We will assist into acquiring ownership rights of the existing listing. We will also instantly verify your listing, so you will not have to wait months for verification code in mail. Instant verification allows to use all Google search benefits right away, without waiting months for verification code. Encourage customer actions by sharing helpful information. Keep them coming back with regular updates. Engage online, and encourage customer loyalty. Discover how people find your business. We will keep your info updated so people can find you. Build loyalty by starting a conversation. Turn product or food photos into sales. Obtain a small website for your business.